You must make reservations at least 5 minutes in advance of the time at Mezze. Mezze is a full service restaurant with the capabilities to create a wonderful menu and experience for your next special event. 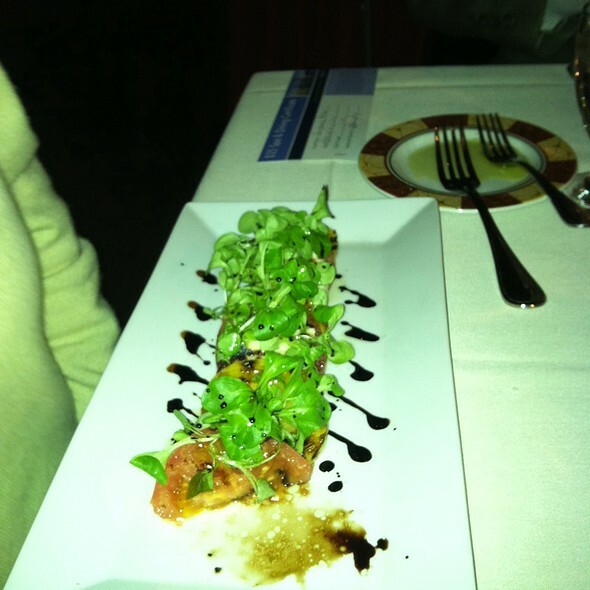 We were at Mezze years ago & had a fabulous experience. This time, not so much. We were put in a room upstairs with no other diners. Our waiter was also the gentleman who seated us. He seemed nervous and on edge. Our plates and silverware were dirty. When we asked for a couple new plates, he handed us one plate from the empty table next to us. The service was very slow. The food was good, but definitely on the "high" side for small plates. We saw a person who appeared to be the owner walking around & smiling at everyone, but he seemed unaware of our situation. Great value. Tasting menu was excellent and time between courses was relaxed allowing you to enjoy your meal. I love this place, it never disappoints! My friends and I were there for a long time, just talking and eating and drinking sangria, and I really appreciated that we never felt rushed. Our server Carlos was wonderful! well, we had a reservation at 8:15pm and had to wait until 8:35 because the owner gave our table away to another party who had walked in without reservations. But what annoyed us the most was that he was not forthcoming with us about that. We found out later from the waiter that, that is what had happened. Overall food was ok. But I don't think we will be going back there anytime soon. Great food and service. Nice ambiance! 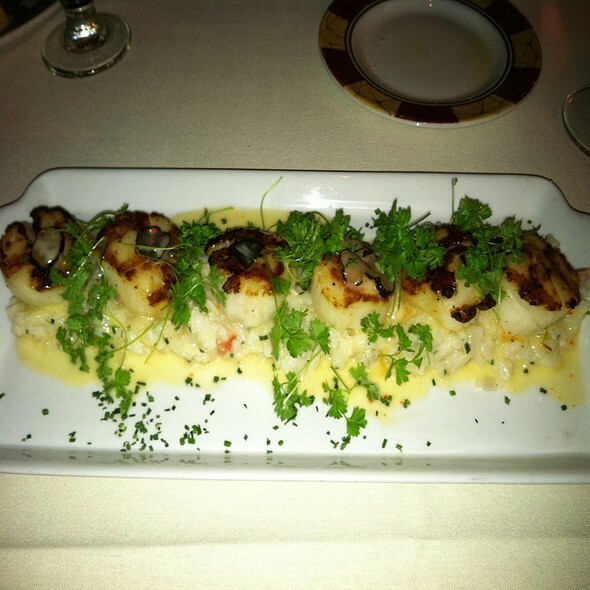 Great food for special occasions! Staff was very attentive and made sure we all had a good experience. Sandy was the most wonderful waiter!! Very tasty, especially the dip trio. Salmon was too saucy. Food was really good. Service was also attentive. Held a business meeting and the table they held for us was perfect. The restaurant was very noisy, but we sat in a tucked away back room that was much quieter. My husband had the mango martini cocktail, which was a hit. We chose the tasting menu for four, adding lamb chops and zucchini fritters. There was plenty of everything and everything was delicious. I'm the only one who does not eat meat, and even I was a very happy camper. Our server was attentive and thoughtful, trading out the usual dessert for baklava when two of us couldn't eat the usual creamy one. My only wish - that they had fresh brewed iced tea! My partner and I really enjoyed the tasting menu, the meal was reasonably priced, and our waiter was incredibly friendly. No complaints here! Unfortunately, much has changed since our last visit 2 years ago. Service could not have been worse (we waited 15min before our waitress came to our table, then had to stop the host/manager to get her back to place iur food order). Our party of 4 ordered a variety of small plates which ranged from bland and tasteless to good, but not really Greek (feta dip with jalapeños & moussaka that didn't come close to the real thing). We won't be back any time soon. Though the food was great the service was horrible. It took at minimum 15 minutes for drinks and at maximum there was a wait of 30 minutes. At one point our server said he would be back in one minute and we didn’t see him for another 15. Our food arrived and was finished before drinks appeared and water was never refilled though it was requested. However it was obvious he had too many tables to be attentive. He had a 7 top, a 10 top and a few 2 and 4 tops. Terrible experience on Valentine Day. Owner overbooked restaurant, with reservation for 7:30 pm we waited 1.5 hours to be seated! Were seated NOT in the restaurant, but in some dirty room behind the restaurant where 5 tables were put in a rush in the last minute. Owner was rude. 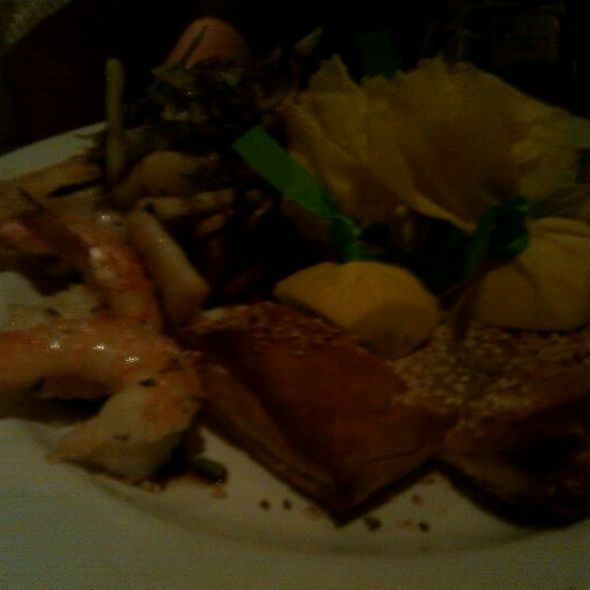 Mezze was great! We tried the zucchini fritters, lamb chops, meatballs, tuna carpaccio and grilled calamari. Everything was delicious!! It was a great value for 2 people. 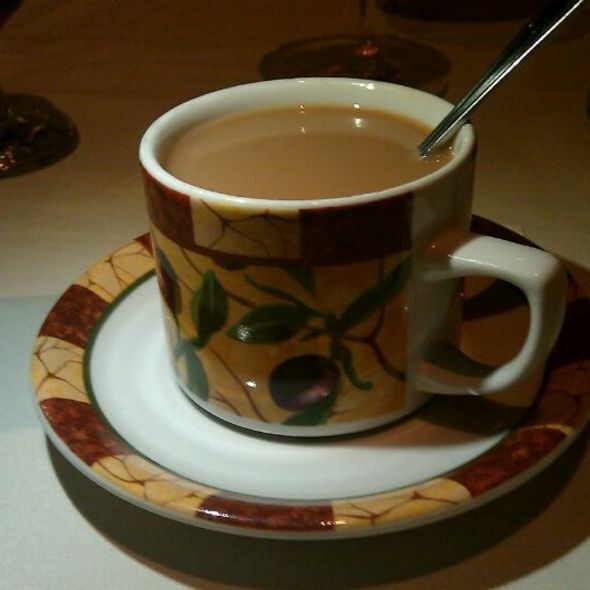 Authentic atmosphere, great service, delicious drinks, and amazing food. The tasting menu was well worth it! 8 of us met for pre-theater (Vagabond) dinner as part of our book club. We were then going to see the play And Then There Were None which was our book. We got there five minutes before happy hour ended but were able to order drinks and food at happy hour prices. Food was great. I had the calamari, grape leaves and pear salad. Everyone liked their choices. I had told the server we needed to be out by 7:45 and we were rushed. He took someone else's order before giving us the check. 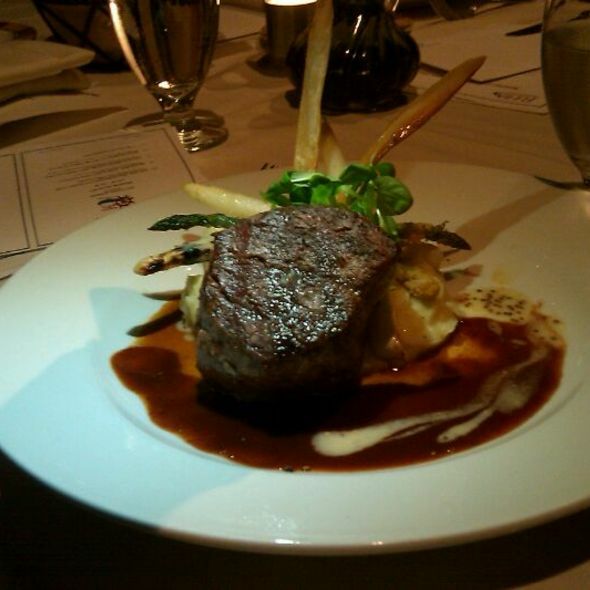 We selected the chef’s tasting and thoroughly enjoyed this meal. Our meal was DELICIOUS! We did the tasting menu and each course was delightful. I enjoyed being able to try, and savor, so many different items. It was a great value, too. Service was attentive and friendly. The only negative part of the experience was the upstairs room was cold, so we were chilly during the meal. I'll definitely go back though! Place was great. Food was wonderful. Server was kind of a jerk. 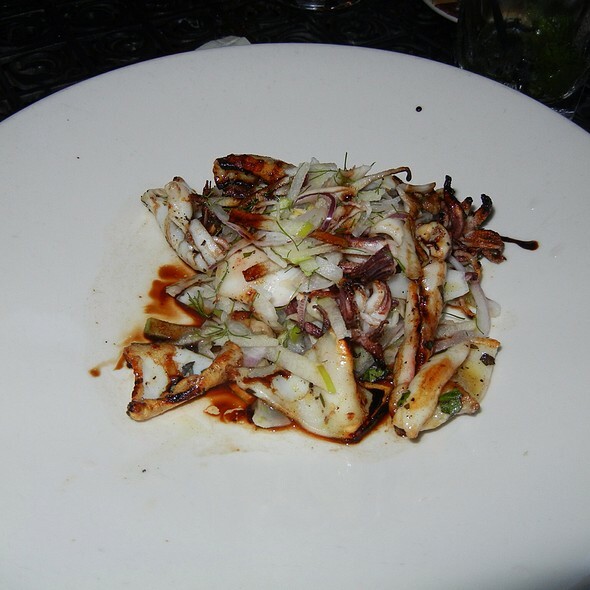 Can't beat the Octopus salad. Soft and tasty, not chewy. 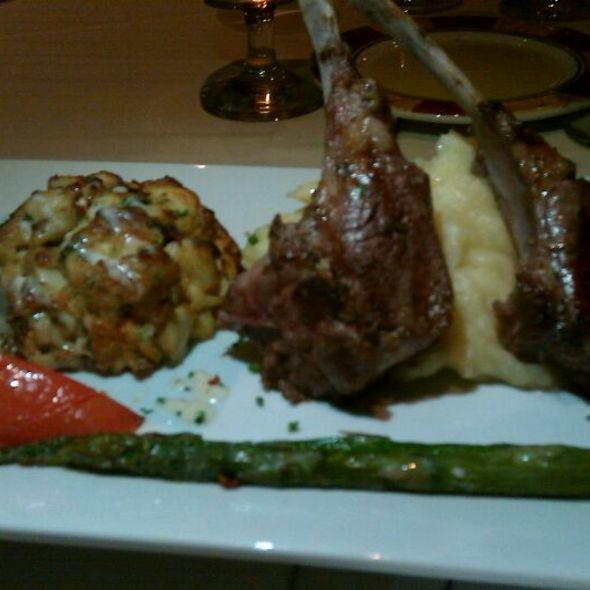 Lamb chops were very good but could have used some mint jelly. The veggie dishes were very good. We enjoyed the restaurant and plan to return. We enjoyed the tasting menu for 4 and everything was delicious! Finished with baklava! Very satisfying meal. We ate downstairs in the bar area since it was more lively. Only negative was draft when door opened to street. The food was excellent and it was a well crafted 3-course meal. The only problem I had was how slow the service was. We were literally scraping our dishes waiting for the next course. Delicious food. Great service. Will come again for happy hour or tapas! Incredibly horrid service. Had 7pm reservations. Arrived a few minutes after 7pm, but wasn’t seated until after 7:15. Our waitress was the only server in our section. She never apologized for the slow service. Our table opted for the winter restaurant week menu, which included many little plates. They were brought out in increments of 45min to an hour. We did not leave the restaurant until 10:15pm. There was never an apology for the delay. The food was delicious, but lukewarm when it arrived. Thus, the kitchen was likely not at fault for the delays. If you opt to dine here, beware of the service. Simple yet pleasing and authentic! Waiters are very polite and sincere, and every one of the many tapas dishes we got was each delicious, well-presented, and the perfect size. We will definitely be back! I was highly impressed by the food and the scenery, i was recommended by a friend to try out this new spot and its the first time I’d tried greek food and it did not fail to impress me, the food and service was great and i would definitely go again. i highly recommend anyone who wants to try something new or anyone in general to go there, Me and my wife enjoyed every aspect of the place. 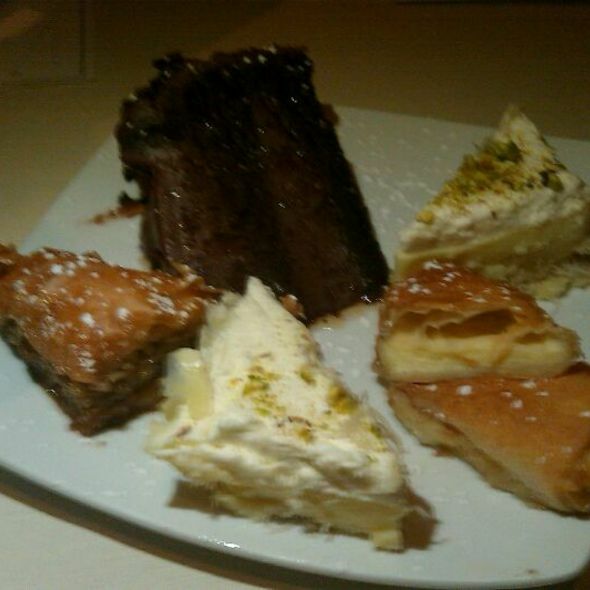 Visited Mezze during Restaurant Week and was definitely pleased with both the menu and the service & barely saved room for dessert. Grape leaves were my favorite and the menu gave an incredible variety of tastes. Will definitely be back! Great food! We came for restaurant week but will definitely be back. The menu was amazing! Our party of 4 really enjoyed the restaurant week special. Every item was very good and tasty. Mezze always has the best deals for restaurant week! I love Mezze. They have great happy hour with 1/2 price apps and lovely wine. Dinner is always great, with a delicious tapas menu you can make a new delicious meal every time you go. My Husband and I went on a Monday night for a random date night. We sat at the dining area on the top floor, it was quiet and the waitress was pleasant and didn't hover over us because it few guests. We sat at the window for a view and we ate the lamb and chicken kabobs and a dessert! Soooo good! Would recommend to EVERYBODY! Great bar and cocktails. Many choices for small plates. Very busy but food came quickly. Friendly servers. Food was decent but service overall was slow (had a reservation but still had to wait about 20 minutes afterwards to be seated and then took maybe 10 minutes once seated just to get menus). The server was very nice and tried her best and the food was pretty decent and not super overpriced. Would probably be a great spot for a date night, just a little slow at times for what we were looking for that evening. My family met here for New Year's eve dinner. We had a diverse group which included 4 vegetarians. Mezze had excellent authentic and delicious choices for everyone! The tasting menu was phenomenal! My sister and her husband were thrilled when the chef created a vegetarian tasting menu for them in the spot! 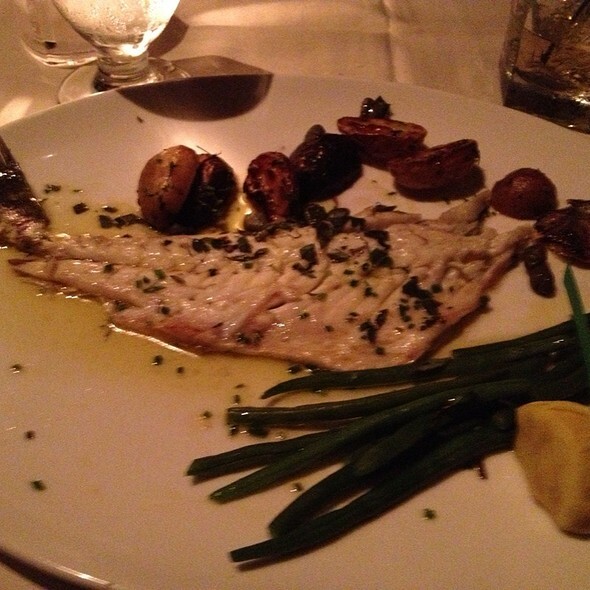 The service and attention and food was outstanding! Highly recommend!